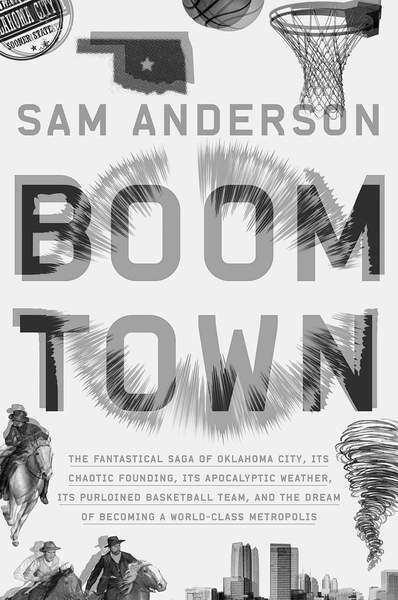 About three-fourths of the way through his nuanced, immersive portrait of Oklahoma City, Sam Anderson takes a walk. It isn't just any sort of walk – but then, Oklahoma City isn't just any sort of town. It's a walk back and forth through the city's history. Anderson has just attended a Century Chest celebration at the First Lutheran Church, at which a time capsule, sealed 100 years before, has been unveiled. Anderson is skeptical; “Time capsules are notoriously disappointing,” he writes. “They are supposed to be magical existential wormholes to a lost reality, but instead they are almost always empty, damaged, full of junk – further depressing evidence (as if we needed any) of the absolute tyranny of time.” The passage evokes its author deftly: the inside outsider, captivated but unconvinced, part of the collective while also essentially apart. The same might be said of Oklahoma City, which was created in a single day, April 22, 1889, when across the span of a few hours, the Oklahoma Land Run brought 10,000 residents to a place that had been occupied, previously, by no one. Surprisingly, however, Oklahoma City's time capsule contains real treasures: “A wooden Choctaw bow. A 1913 phone book, plus a clunky old-timey phone to make calls with. A judge's gavel. A glass container of wheat.” Anderson is moved – or perhaps it's more accurate to say he is overwhelmed. He drives out to the edge of the city, “as near as I could to ... what the settlers of 1889 called the 'Pott Line,' because the territory on the other side belonged to the Potawatomi Indians.” This is one of the places the Land Run began. For the rest of the day, he walks back into downtown, through empty streets and failed shopping centers, past prefab houses and piles of dirt. The landscape is forsaken. “OKC was more than just a city,” Anderson reflects, in the midst of the desolation; “it was an existential crusade, an attempt to assert the primacy of consciousness, of human life, in this endless sea of nothing. It had to keep booming, because whenever it stopped to rest, the prairie rose up and tried to swallow it.” This is the strength, the unlikely triumph, of “Boom Town,” which takes a city almost universally overlooked and turns it into a metaphor for, well, everything. Anderson is not a native; he had never been to Oklahoma City until he was sent there, in 2012, to write about the Thunder, the city's improbable – and improbably successful – NBA team. What he finds, though, is not just a basketball story but a kind of vortex. “Is it possible to control an explosion?” Anderson wonders at the outset, and the question lingers throughout the book. In part, this is because Oklahoma City is itself explosive, a great nothing that out of sheer will spun itself into something, only to flirt with nothingness again. In part, it has to do with what has happened there. The Oklahoma City bombing was the most destructive terrorist attack in the United States before 9/11; 168 people died, including 19 out of 21 children in day care. And yet, for much of “Boom Town” the tragedy is as absent as the negative space where the Murrah building used to stand. This is why the Thunder is important; the team's arrival (it moved to Oklahoma City from Seattle) is not only an emblem of the city's big-league status but also a sort of reclamation, a way to build upon the past. Every new player is required to visit the memorial, even Oklahoma City native bench player Daniel Orton, who “told the team that, since he had actually experienced the bombing in person, since his mom had been right down near it, since his uncles were firefighters who helped at the scene, since he had been to the memorial a million times, he didn't feel he needed to take the official tour.” That the team made him do it anyway may be the most telling detail in the book. What Anderson is tracing is the creation of a narrative, the story the city tells about itself. 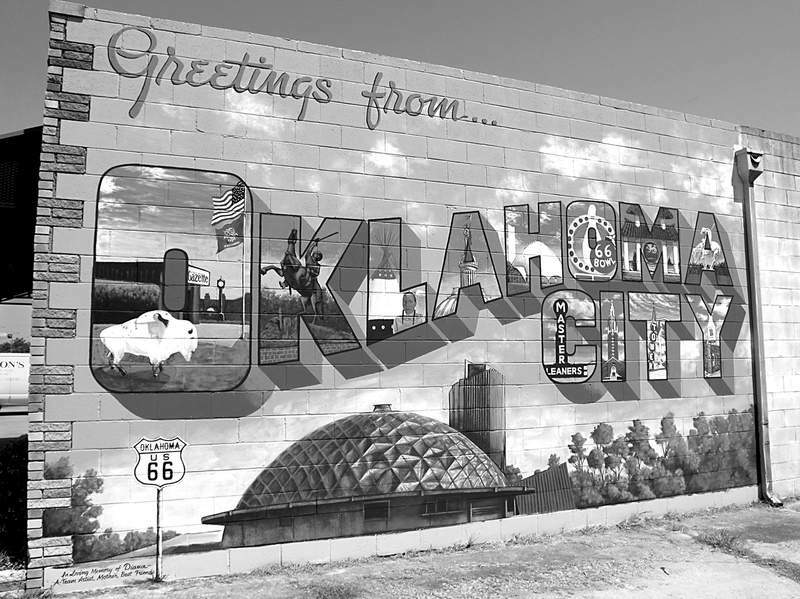 “I have come to believe, after my time there,” he observes, “that Oklahoma City is one of the great weirdo cities in the world.” The people to whom he introduces us in “Boom Town” bear this out. There is the point guard Russell Westbrook, by turns brilliant and undisciplined, driven by resentment and rage. There is Wayne Coyne, lead singer of the Flaming Lips, still living and working in the neighborhood where he was raised. David L. Ulin is the author of “Sidewalking: Coming to Terms with Los Angeles.” He wrote this for Washington Post Book World.